The Best Food I've Ever Eaten? I was watching an episode once of Food Network's "The Best Thing I Ever Ate." A noted chef was talking about the crab cakes at Tom Douglas's Dahlia Lounge in Seattle. I've eaten them and they were good . . . they were really good, but certainly not the best thing I've ever eaten. I think the particular moment in time of eating carries so much more weight than the food itself. It's who you're with and what's going on at the time. That being said, I like the crab cakes at the Crab Pot in Seattle. I ate both meals with my wife, so the company was equal. 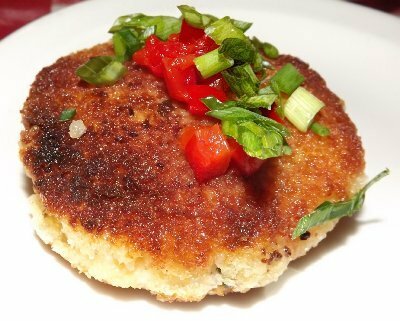 I remember the Dahlia Lounge crab cakes being good, but I didn't tell everyone I met how good they were, like I did for days after eating at The Crab Pot. So what comes to mind when I think of the best things I've eaten? Certainly not my mother's cooking. Until I got married I thought steak was cooked well-done and then you added a couple of cubes of butter on top of it to give the charred remains a little moisture. I know that's a trick of steak houses . . . except the over-cooking part. Ruling out everything that my wife cooks is a given. I don't want to seem partial. The same goes for my pot roast, but for that I rely on Peg's mother's Guardian Ware glass covered aluminum cooking pan. 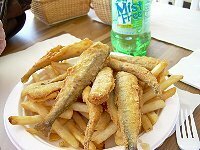 At a drive-in restaurant on Cape Cod we had some of the best fried smelt, I've ever had. Two years later I had small sardines coated and fried in a Spanish restaurant south of the Ebro River. I would say they were the best smelt I've had except the fact they weren't gutted still gives me pause. When we visited Cape Cod it was my duty to eat lobster twice a day. None were bad, but lobster cooked simply is always a joy, but not quite in the best thing category. At another Tom Douglas restaurant in Seattle, The Palace Kitchen, my wife Peg and I had home-made Spam, poached eggs and grits. Even though the restaurant was crowded it took every once of will power on my part to not lick the plate. 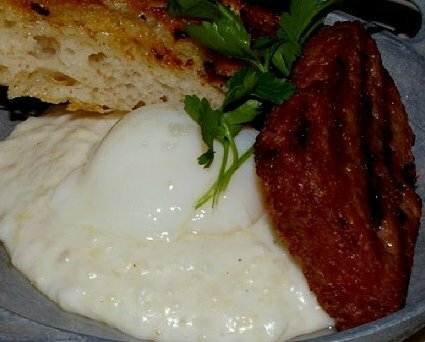 The Spam was fantastic, the eggs were perfect and the creamy grits were from heaven. The Spam is not always on the menu. They only make it every once in a while. It takes a while to cure. I would make a special trip to Seattle just to eat that meal again, which is why I don't call them to see when it's going to be on the menu. I don't need it. I can live without it, but if I wandered in and it was begin served my sensibilities would be assuaged and convinced that I should have some. A couple of years ago I was given an experimental loaf of Mocha Almond Raisin Bread developed by Dr. Patrick Finney of Roman Meal, the home of whole grain goodness. Before taking it home I opened the loaf in my car. 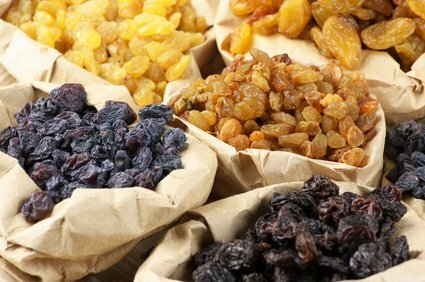 This wonderful sweet smell of whole grains, raisins, and almonds filled my Buick. I closed my eyes and held the bag up to my face so I could huff the fragrances. Magnificent. Somehow in the ten minutes it took for me to drive home half a dozen slices disappeared. Imagine that. Wonderful bread. The best thing I've ever eaten? On our first anniversary we were poor. We packed up to go camping. The fact that it was late November in the Pacific Northwest did not enter intrude or deter our common sense. Peg made mackerel sandwiches, because we couldn't afford tuna. Half way from Tacoma to Ocean Shores we stopped for our dinner of mackerel salad sandwiches on white bread. One bite was memorable. We were in love. The sandwiches were awful. We threw them away. In Aberdeen we spent what little money we had left for a bucket of Kentucky Fried Chicken. 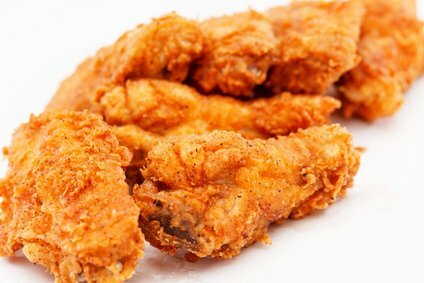 The aroma of the Colonel's original recipe drove me crazy in my 1955 Chrysler New Yorker as we headed west in the dark and driving rain. My 331 Hemi couldn't get us to the Ocean City quickly enough. Ocean City is a couple of miles north of Ocean Shores and offered free camping in the dunes. Later we would wake up around midnight to spend an hour or two holding on to the center pole of our tent so as not to blow away during a winter storm. We parked on the beach. We ate every morsel of fried chicken. In the dark we couldn't see what we were eating. It didn't matter. The moment. The company. The best thing I've ever eaten? A bucket of KFC. Just a whiff as I drive by any Kentucky Fried Chicken outlet takes me back to those few minutes together with Peg. I remember . . . I smile . . . and I can still feel the grease on my fingers. It's not really healthy food, but it was finger lickin' good. The Best Food I've Ever Eaten? The Food Channel, best food ever eaten, free nutrition content article, Healthy Aging Article, Healthy Living Article.